It follows that the natural riches of the Virginia’s Eastern Shore make it an important economic engine for the Mid-Atlantic region. Fishermen, duck hunters, birders, kayakers, and beachcombers flock to its idyllic shores. The Chincoteague National Wildlife Refuge located on Assateague Island is visited by 1.2-1.4 million tourists annually, making it one of the most heavily visited refuges in the US, generating millions of US dollars in spending and creates thousands of jobs for residents living in the Town of Chincoteague and surrounding villages. Because of the clean water in the tidal creeks and bays, the Virginia Eastern Shore is home to the U.S’s largest clam aquaculture industry with an average annual economic impact of $60 million USD. The rural coastal landscape is the ideal location for one of NASA’s premier rocket launch facilities, Wallops Flight Facility, with over $1 billion of mission-critical infrastructure located on Wallops Island, the only developed barrier island on the Virginia coast. In the spring and summer of 2016, we worked with partners and volunteers to restore oyster reefs at two sites at Chincoteague National Wildlife Refuge. Fast-forward one year and this is what we now have at Tom’s Cove: the castles are loaded with oysters and they are doing exactly what they were designed to do! As you watch this video, note the speed and frequency of the waves approaching the oyster castles and how these structures are reducing wave action, which results in much calmer conditions beyond the castles. Also, look at those macroalgae growing behind the castles and the pattern in which they occur. The goal of this restoration effort is for the shoreline to be more resilient against rising sea level and future storms. Moreover, the Eastern Shore hosts one of the National Science Foundation’s prestigious Long-Term Ecological Research (LTER) program sites, the Virginia Coast Reserve, operated by the University of Virginia, which has transformed the region into a center for world-class coastal science research for nearly 30 years. The region’s way of life and economy relies on the peoples’ dependence on nature as a defense in the face of rising seas and extreme storms. The Eastern Shore lies within one of the U.S’s most vulnerable coastal regions. Sea levels are rising at three to four times the global average and storms are intensifying. Tens of millions of dollars have been spent in the past on piecemeal, reactive approaches to these mounting hazards. Often, engineered infrastructure solutions such as sea walls, groins and jetties have only exacerbated the area’s vulnerability. The Nature Conservancy is working with leading coastal scientists and community partners to explore and document the resilience inherent in this natural system. We are using this living laboratory to better understand how nature can make coastal communities here—and everywhere—more resilient in the face of a changing climate. This information is being incorporated into the Coastal Resilience decision support tool, providing local governments with the information they need to better plan for the future. Please email us at vacoastalresilience@tnc.org with questions and feedback. Climate change within this vast expanse of local communities living within this naturally functioning barrier island ecosystem is expected to drive a combination of extreme weather and sea-level rise that will increase the risk of coastal erosion, flooding, and the permanent inundation of what is now normally dry land. Current projections from the Virginia Institute of Marine Science’s Center for Coastal Resource Management regarding relative sea-level rise rates on Virginia’s Eastern Shore show a mean sea level rise of between 4.5 to 7 feet by 2100 which is three to four times the global average. On the Eastern Shore, tens of millions of dollars have been spent on traditional “gray” infrastructure approaches, such as sea walls, groins, jetties, bulkheads and revetments, as defenses against mounting coastal hazards. Often, the gray infrastructure has only exacerbated the area’s vulnerability and undermined the region’s abundant natural resilience by interrupting critical environmental processes. The impulse to harden shorelines to halt coastal erosion is driven, in part, by the lack of a public understanding and subsequent appreciation for the capacity of nature to mitigate the impacts of rising seas and extreme storms. The widespread use of gray infrastructure is also perpetuated by consultants, contractors, and government agencies whose expertise is often limited to traditional shoreline armoring for the single purpose of protecting property, buildings, homes, roads, and critical facilities. Without understanding the effectiveness of natural systems to provide equal protection with multiple benefits, coastal communities end up with hardened shorelines that eventually degrade the ecosystem and increase risk. The goal of our coastal resilience work is to make the case to local governments, contractors, and citizens that coastal ecosystems are nature’s first line of defense against shoreline erosion, flooding, and inundation. We also want to promote the recognition that these ecosystems provide other essential services, filtering water, sequestering carbon, ensuring the productivity of fish and shellfish, and increasing biodiversity—that are diminished or lost with traditional gray infrastructure solutions. Read more about shellfish, saltmarshes, seagrass, and other habitats that provide nature based solutions. The Coastal Resilience approach to mitigating the effects of climate change on Virginia’s Eastern Shore and in coastal communities around the world is to catalyze the adoption of nature-based solutions. The abundance of protected coastal wilderness on Virginia’s Eastern Shore offers the ideal place in Virginia to demonstrate and learn about the capacity of natural infrastructure to mitigate risks from rising sea levels and extreme storms. Reduce climate-related risks and enhance natural resilience. The Coastal Resilience approach is being implemented in the Eastern Shore of Virginia with stakeholder workshops and the development of the Coastal Resilience Mapping and Decision Support tool using local information. The novelty of this tool is that it enables identification of nature-based solutions like oyster and wetland restoration to mitigate risk and enhance resilience. Demonstrate how healthy and restored coastal habits are cost-effective ways of increasing the resilience of coastal communities. Coastal habitats are being restored and through specific demonstration projects, the efficacy of these habitats in reducing destructive wave energy is being studied. 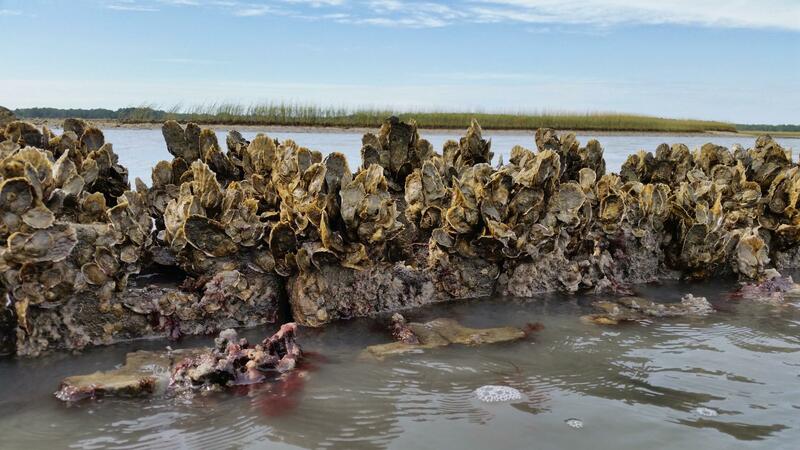 Read our latest post on making the case for nature-based solutions in Virginia’s coastal bays: Quantifying the wave-dampening effects of restored oyster reefs on eroding shorelines. Virginia Coast Reserve director Jill Bieri was interviewed by Sandy Hausman on WVTF/Radio IQ about the Virginia Eastern Shore Coastal Resilience tool. The Future Habitat app, which shows how the size and distribution of tidal marshes and other coastal habitats may change in response to future projected sea-level rise scenarios on Virginia’s Eastern Shore, has been updated. Chris Bruce, the GIS Manager for TNC Virginia, and Amy Ferguson, an M.S. Candidate at University of Virginia, recently presented award-winning posters that document the study sites, field methods, data analysis, and finally some results that are incorporated into various Coastal Resilience applications specific to Virginia’s eastern shore. The Virginian Pilot highlights the work that TNC and partners’ have been engaging in to model both the historic trends of and future projections for the eastern shore barrier islands. Groundbreaking apps aim to put Eastern Shore a step ahead of sea level rise. 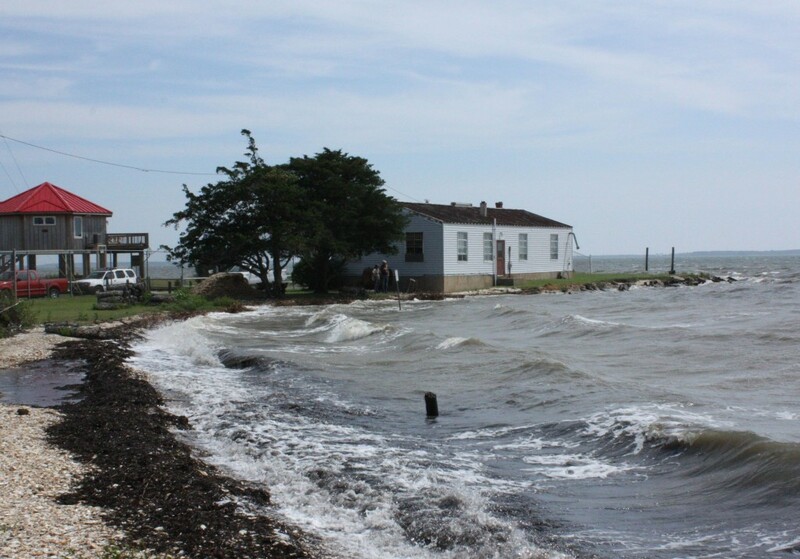 In a recent interview, Curt Smith, Director of Planning for Accomack-County Planning District Commission (A-NPDC) spoke about how A-NPDC is using the Coastal Resilience tool to plan for rising seas and coastal flooding. An innovative app is helping enhance habitat resilience for beach-nesting shorebirds in the face of sea-level rise. Accomack-Northampton Planning District Commission – University of Virginia’s Long-Term Ecological Research Project – Virginia Institute of Marine Science’s Center for Coastal Resource Management – University of North Carolina at Chapel Hill – Randolph-Macon College – Duke University – University of North Carolina-Wilmington – Natural Capital Project – The Brosnan Center for Risk Reduction – NASA-Wallops Flight Facility – U.S. Fish and Wildlife Service Chincoteague National Wildlife Refuge – ARCADIS US, Inc. – Warren-Pinnacle Consulting, Inc.